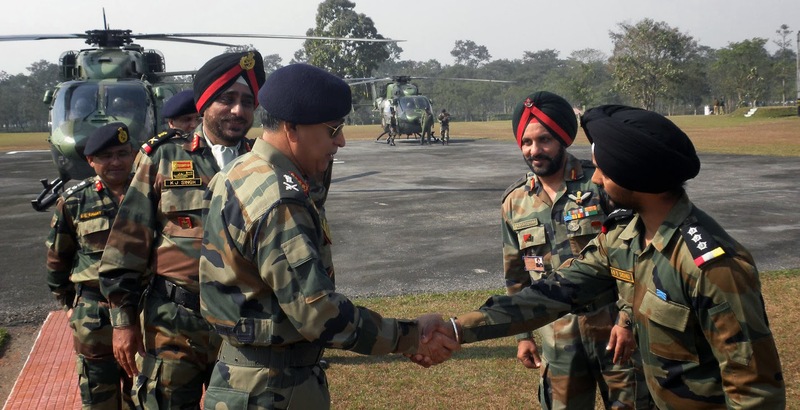 Eastern Army Commander, Lt Gen MMS Rai who is on a two-day visit to Sikkim and North Bengal sector after assuming charge of Eastern Command earlier this month, reviewed the preparedness and the security situation of the operational areas in these sectors at the Sukna-based Trishakti Corps Headquarters, today. Over the next two days, the Army Commander along with the Trishakti Corps Commander, Lt Gen KJ Singh will visit the troops in forward areas and take a first-hand report on all the activities undertaken by the Corps along the borders. Gen Singh briefed the Army Commander on various operational and administrative issues and the ongoing efforts in maintaining peace and tranquility along the borders with China as per Border Peace & Tranquility Agreement (BPTA) and the recently concluded Border Defence Cooperation Agreement (BDCA). The Army Commander appreciated the efforts of troops in maintaining peace and tranquility along the borders and commended their high morale despite being deployed in tough and physically demanding conditions. During his maiden visit to the Corps HQ, the Army Commander also paid homage to the martyrs of the Trishakti Corps by laying a wreath at the war memorial before flying out to the forward areas. The Army Commander is also expected to call on the Chief Minister and Governor of Sikkim at Gangtok.